From the Norfolk Broads to the Yorkshire Dales, we pick the UK's most outstanding canal boat holiday destinations for inland waterway bliss. We have a rich inland waterways network in the UK, thanks to some of our natural landscape and our industrial heritage. 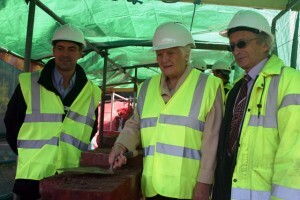 The canal boat network has been maintained and, in places, renovated, providing a fantastic boating holiday destination. 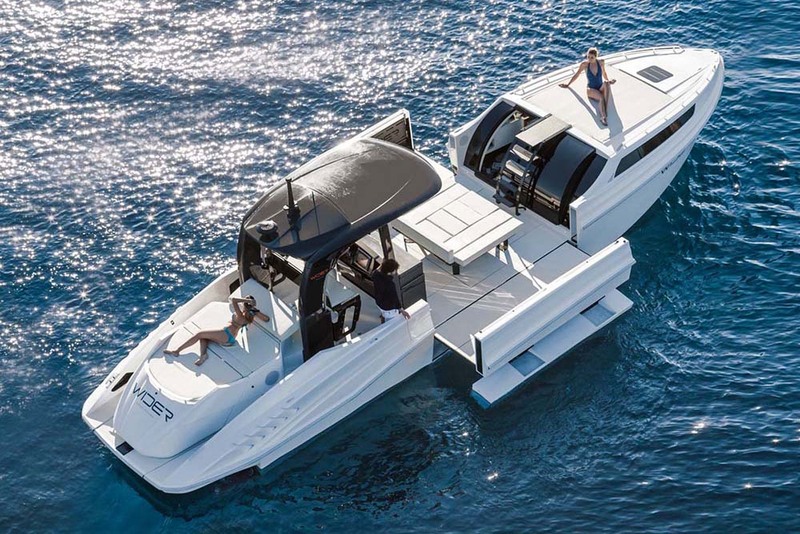 From the Norfolk Broads to the River Thames, a huge network in the midlands and key connecting routes across the country from Scotland to Somerset, there are plenty of destinations to choose from. 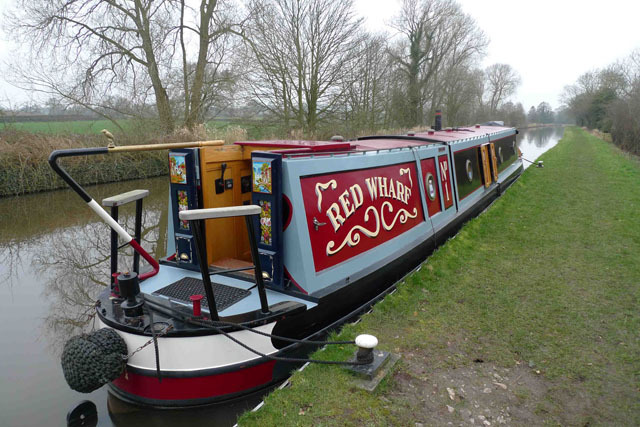 So here are the inland boating highlights of Britain – not just the spiritual home of the navigable canal, but also the powerhouse behind the very industrial processes that made them so vital. Where better to start than with a famous feat of industrial engineering and a renowned World Heritage Site. When Thomas Telford’s Pontcysyllte Aqueduct opened in 1805, it was the tallest canal crossing in the world and more than two centuries later, it is still the largest in Britain. It takes boaters and walkers across a deep valley, 126 feet above the River Dee, with a rail on the footpath side and a sheer drop on the water side. It’s a memorable destination and it puts you within easy reach of two other major waterways attractions: the Chirk Aqueduct and the Horseshoe Falls at Llantysilio. The Pontcysyllte Aqueduct is a world-famous piece of engineering. Photo llangolen.com. 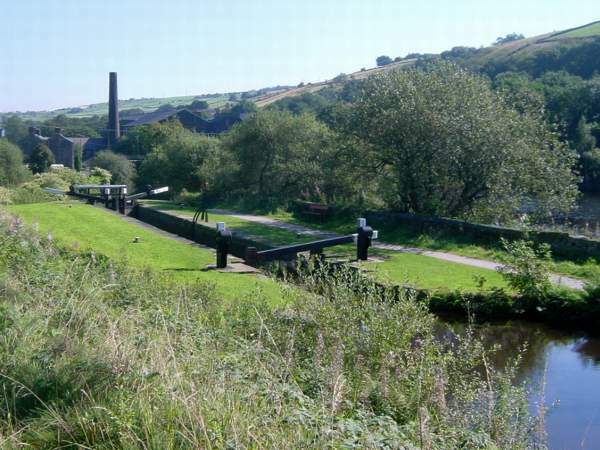 The gruff, remote majesty of the Yorkshire Dales is reason enough to make a beeline for the Leeds and Liverpool Canal – and for canal buffs, the 18th century engineering masterpiece known as Bingley Five Rise Locks makes it extra special. Completed in 1774, its five-lock staircase uses the lower gate of each lock as the upper gate of the next, enabling a relatively rapid 60-foot descent. It is still in daily use today, providing access to 16 miles of lock-free cruising through a delightfully unspoiled region of the Yorkshire Dales. Bingley Five Rise is set among the glorious Yorkshire Dales. While a lot of industrial canalside buildings are left to fall into disrepair, Gloucester Docks has used its heritage as the bedrock for a variety of modern activities. This pristine Victorian port is home to the Waterways Museum (formerly, the National Waterways Museum, Gloucester). 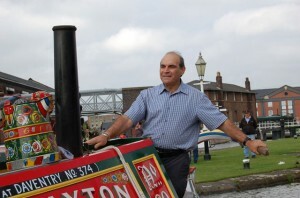 There’s also a narrowboat hire company, dock tours and sightseeing trips - and in addition to its reputation as a vigorous shopping hub, this place also hosts MV Edward Elgar (the largest hotel boat on the UK network) and the renowned Gloucester Brewery, which offers a full schedule of tastings and tours. 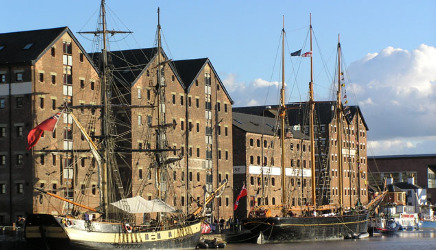 Gloucester Docks is a pristine Victorian harbour with plenty of modern attractions. The compact stretch of canal from Camden Lock around the northern edge of Regents Park to Little Venice, where the Regent’s Canal meets the Paddington Arm of the Grand Union Canal, offers a great urban experience for the cruising boater. 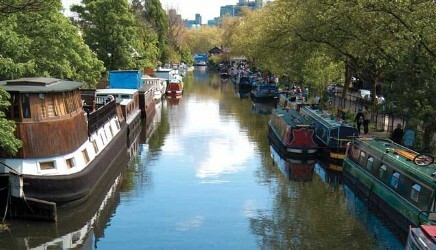 Although Little Venice is just a stone’s throw from Paddington mainline station, it is charmingly serene and relaxed, with plenty of waterfront cafes, lovely walks, a clash of colourful boats, a floating gallery and some of London’s most elegant tree-lined Georgian streets. 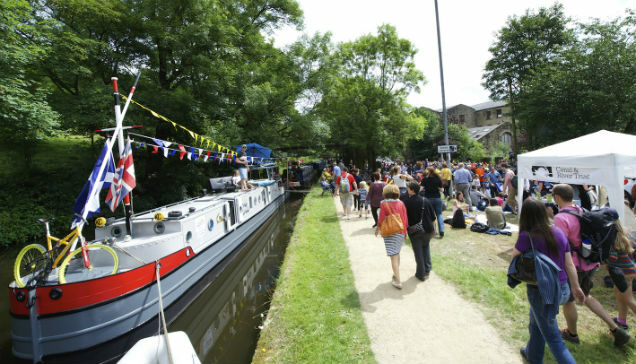 It even plays host to its own annual event – the kaleidoscopic Canalway Cavalcade – number two on our list of 12 great events for 2016. Little Venice is a peculiarly serene patch of London. While most consider the Thames to be an urban thoroughfare, it actually runs for around 220 miles, from its source in the Cotswolds, toward Oxford, Henley and Windsor, through the heart of London and out to sea along the north Kent coast. There are plenty of serene rural regions along its length but the highlight is of course its winding (and remarkably accessible) path through London’s heart. 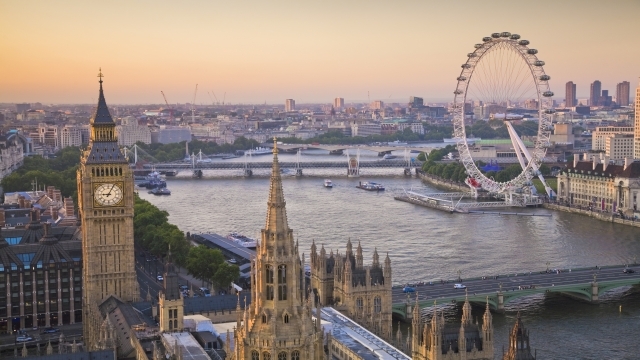 With its 2,000-year history, its proximity to central London’s greatest attractions, its 26-foot tidal range and its continued relevance as the beating heart of one of the world’s greatest cities, it offers an inland cruise as dynamic and exciting as any. Nothing beats the Thames for sightseeing by boat. Photo visitlondon.com. 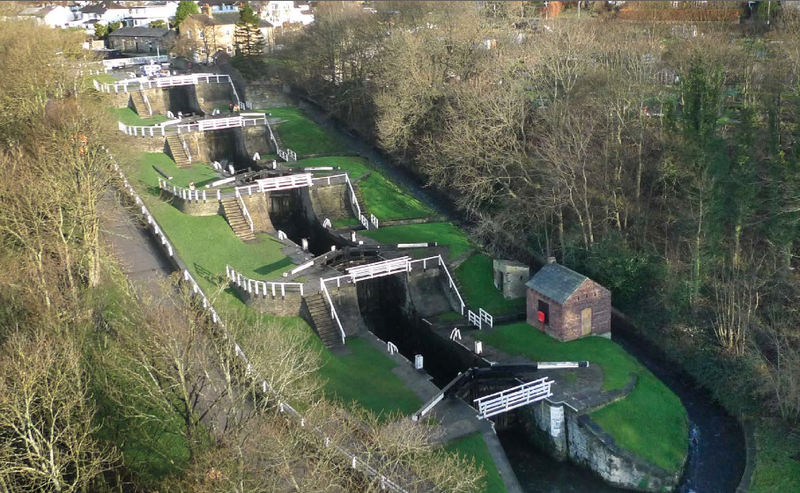 The main Caen Hill flight of 16 locks was designed by John Rennie as a means of navigating the precipitous local hill and today, it remains one of the most famous on the entire network. However, it actually forms part of a longer flight of 29 locks over a length of two miles – and having been completed in 1810 as the final stretch of the Kennet and Avon Canal, it enjoys the came ‘Scheduled Ancient Monument’ status as Stonehenge. While the Caen Hill flight is a right of passage for ambitious boaters, the whole stretch from Devizes west to Bath is one of the most attractive stretches of inland waterway in Britain. 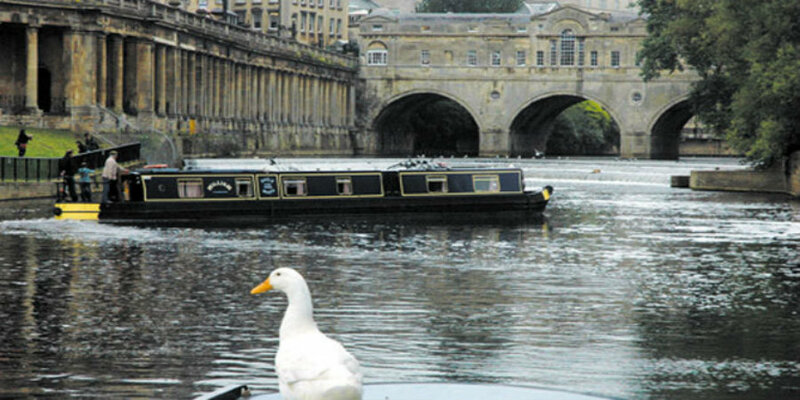 Few canals can match the Kennet and Avon for its blend of rural and urban scenery. 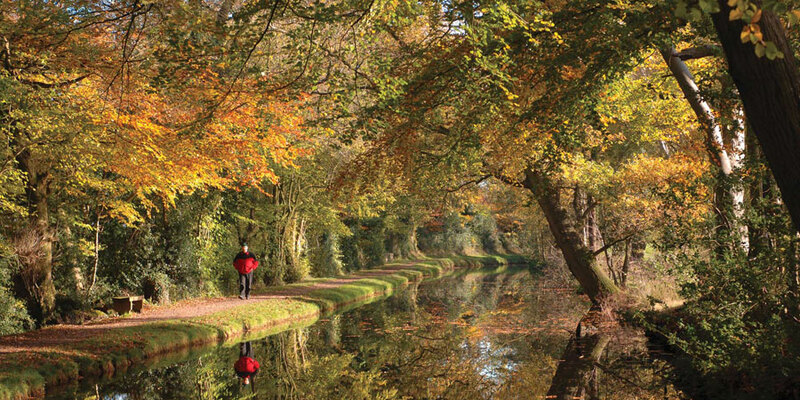 The navigable section of the Monmouthshire and Brecon Canal (known as the Mon & Brec) navigates its way through the beautiful Usk Valley for about 35 miles from Brecon to the Pontymoile Basin. As an isolated rural waterway, it is a haven for nature-lovers, walkers and industrial history buffs. And although it was originally constructed for the movement of coal, lime and raw iron ore, the Blaenavon section now enjoys World Heritage status and Llangattock, with its network of underground caves, is also a Special Site Of Scientific Interest (SSSI). 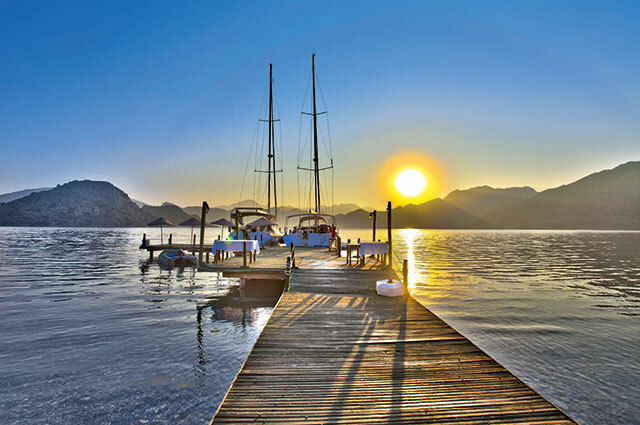 With its manageable scale, pretty villages, rich bounty of old architecture and abundance of canalside pubs, it’s well worth a five-day cruise. Though just 35 miles long, the isolated Mon & Brec is a jewel in the UK network. The narrow canal from the Grand Union at Rugby to the Thames at Oxford is among the most lovely in the entire network. The historic canal hub of Banbury is home to Tooley’s Boatyard (which, having been in business since 1790, boasts the oldest working dry dock in Britain). The famous folk music hub of Cropredy (with its annual Fairport Convention Festival) is just four miles to the north and to the south are some of the region’s most beautiful landscapes, some fine pubs and the gorgeous attractions of Oxford. With Rugby at one end, Oxford at the other and Banbury in the middle, it's the ideal week-long trip. 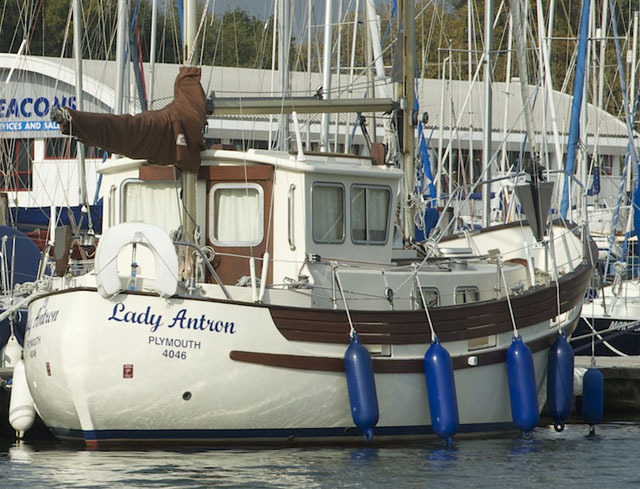 Bristol Harbour offers plenty of facilities for visiting mariners, plus the full array of shipyard services. It’s also home to scores of watersports clubs and waterfront bars and the Bristol Harbour Festival (the key seasonal celebration in an astonishingly rich events calendar) is a great example of how a vibrant modern city can keep maritime heritage at the heart of things. 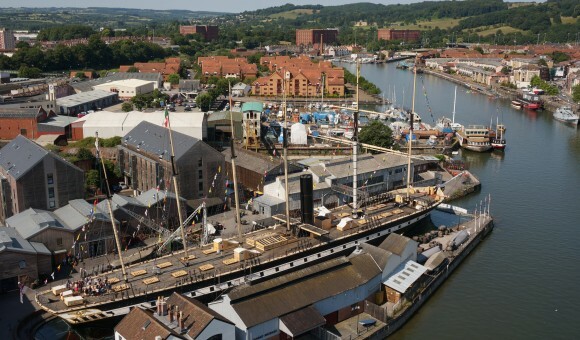 The SS Great Britain (Brunel’s maritime masterpiece, which now sits in the very dock where it was originally built) is a stupendously engaging attraction – and the intrepid can also head west, via the Severn Estuary to join the main body of the inland network at Gloucester. Bristol Docks are as vibrant as any urban waterway in Britain. Photo ssgreatbritain.org. As the name suggests, the Pennine Ring takes a circular route through the Pennines, crossing them twice. It encompasses a journey of 71 miles with no fewer than 197 locks, climbing to an altitude of 645 feet, before burrowing a path through the hills. Not only does that make it Britain’s highest canal, but it also wins it the crown for the highest, longest and deepest tunnel in the entire UK network. With a variety of broad and narrow locks, aqueducts, river sections and tunnels, it’s a testing two-week trip, but very few places can match the Pennine Ring for sheer drama. The dramatic South Pennine Ring is a rewarding two-week adventure. Norfolk's wonderful boating playground. The Norfolk Broads has been a popular holiday destination since the late 1870s. A network of rivers and broads (lakes) representing over 200sq km of navigable waterways. Watch the video below to find out more. There are many beautiful canals in Scotland, including the Caledonian Canal, which takes you to the famous Loch Ness, and while Scotland can be a bit damp and chilly, there are plenty of glorious days too, it's quiet and the scenery is pretty much unbeatable. 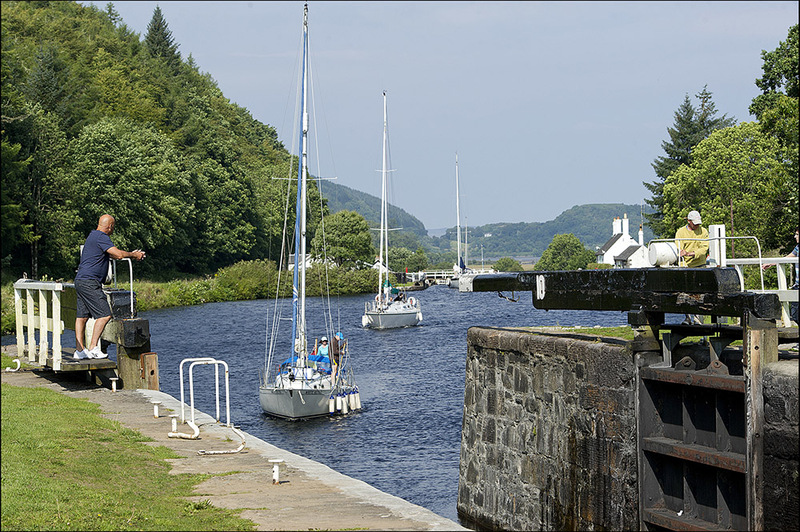 The Crinan Canal is described as '"Scotland's most beautiful shortcut". The canal, which is operated by Scottish Canals, is approximately nine miles (14km) long and connects Ardrishaig on Loch Gilp with the Sound of Jura, allowing boats to travel from the Clyde to the Inner Hebrides without the long diversion around the Kintyre peninsula. 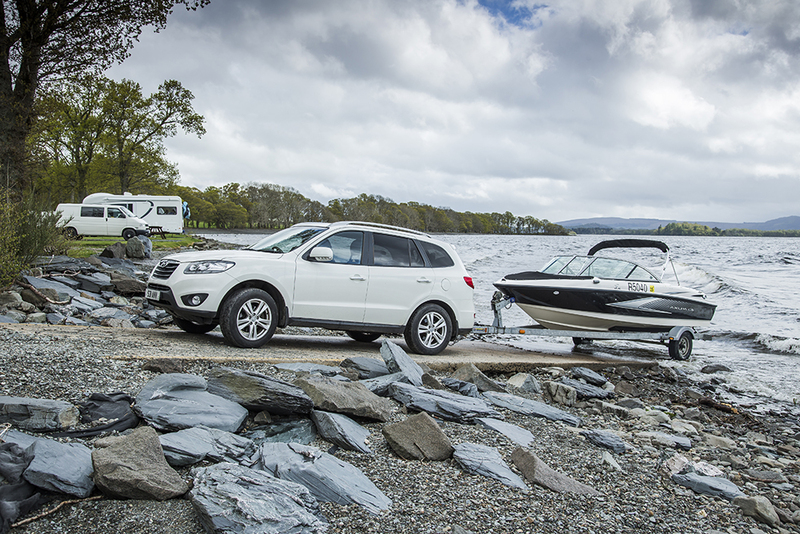 It opens up a whole world of beautiful cruising grounds along Scotland's beautiful West Coast. The locks of Crinan Canal. Photo Peter Sandground/Scottish Canals. 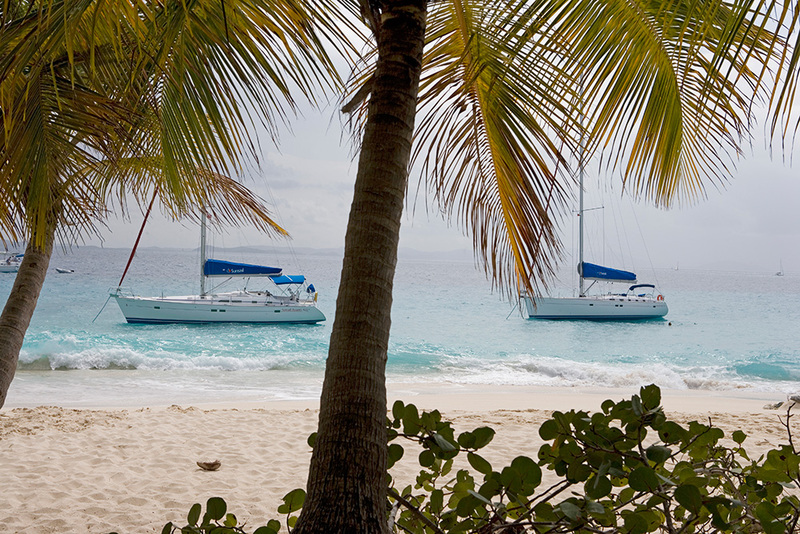 Europe is crammed with wonderful inland boating destinations. From nautical, canal-strewn cities like Amsterdam, St Petersburg, Stockholm, Bruges and Venice to impossibly picturesque destinations like Carcasonne on the ancient Canal du Midi, there is virtually no end to your options. For more canal holiday inspiration, see: 10 top tips for enjoying a narrowboat holiday and Narrowboat or barge? Canal boats explained.